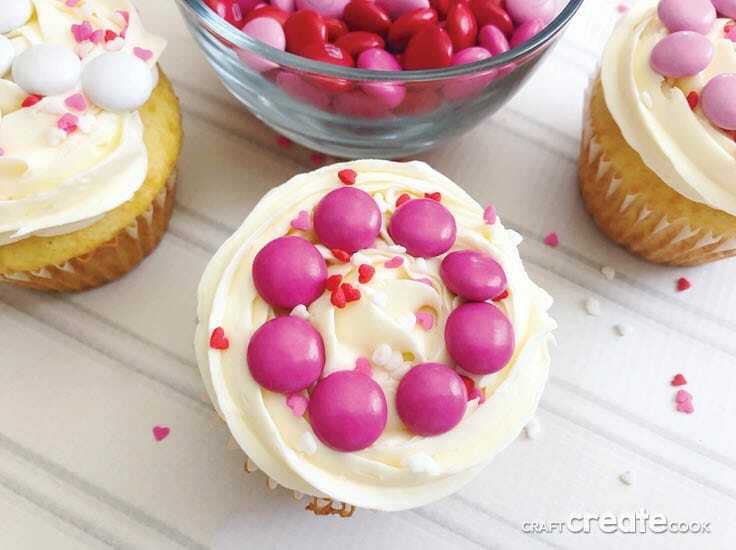 These easy to make Valentine cupcakes are the perfect Valentine’s Day treat! Everyone will think they are homemade/store bought but only you will know how much time and money you saved by starting with a boxed mix. Hello everyone! 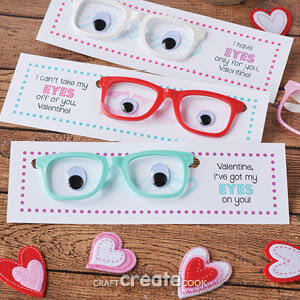 I’m Erica from Craft Create Cook bringing you another easy recipe. 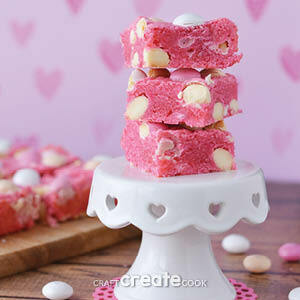 As you might know by now I am all about the semi homemade or great tasting but easy recipes. 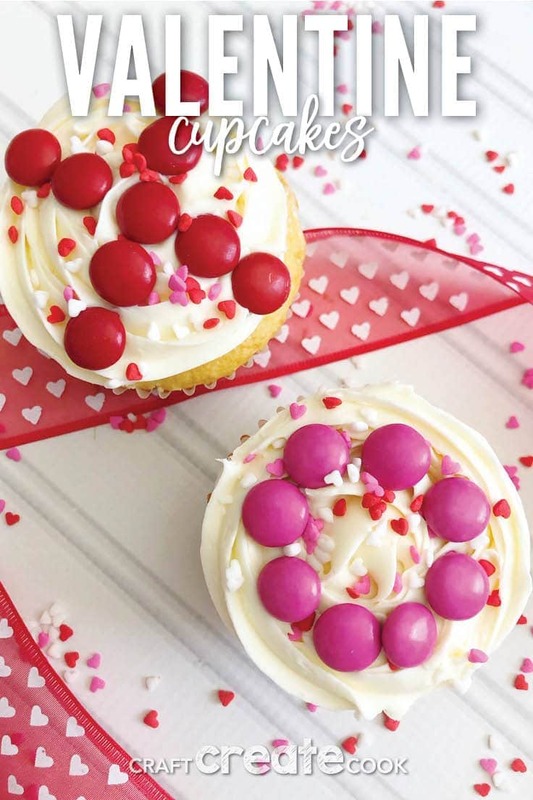 You’ll for sure want to make these easy to make Valentine cupcakes. 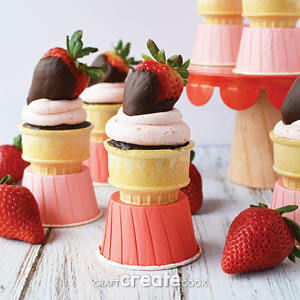 Now easy to make doesn’t have to mean it lacks in flavor or love. It means I saved so much time and money by starting with a boxed cupcake mix (usually a $1.00) and used extras to decorate all festive like. That’s the fun part anyway, right? Whose gonna want to pass by these cupcakes covered in frosting, sprinkles and M&M’s? Not me. 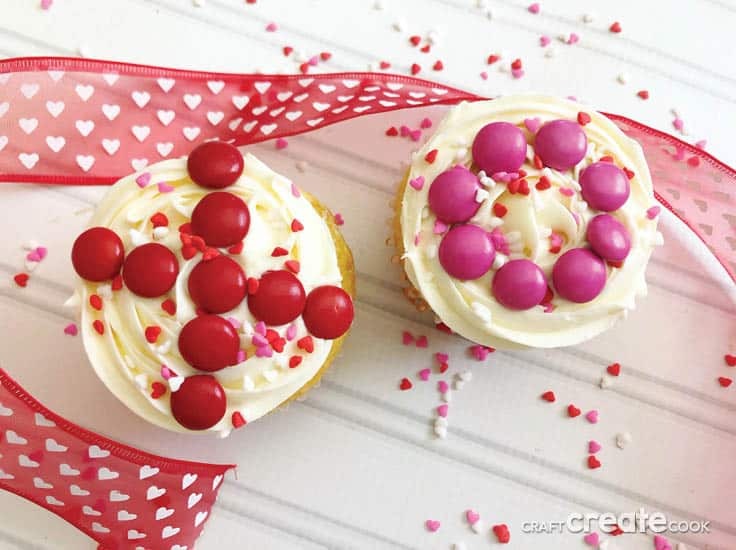 There’s just a few simple steps to follow and your Valentine Cupcakes will be ready before you know it. 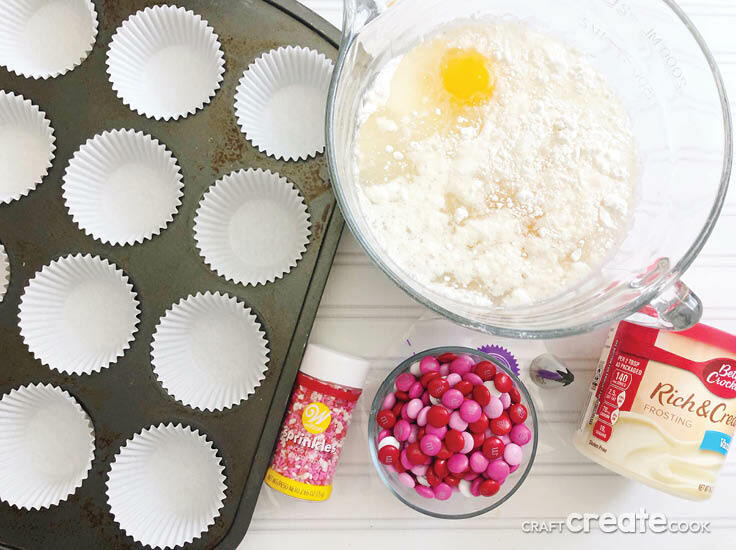 Prepare your cupcakes by mixing the cake mix with oil, eggs and water like the box directions say (some may vary). 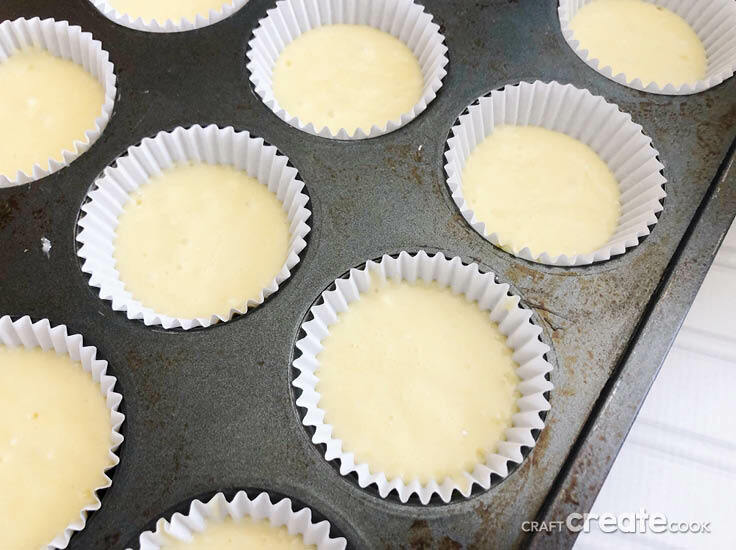 Fill each cupcake liner halfway with your vanilla batter, bake for 15 minutes and let cool. 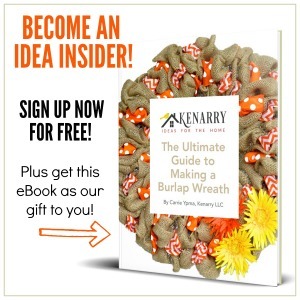 Place a large star tip in your decorating bag and cut the end of the bag off. 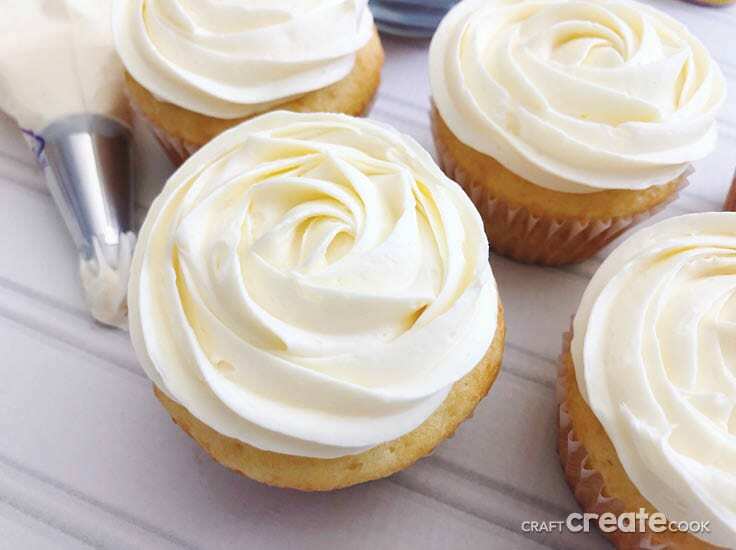 Fill the bag with frosting and use the bag to frost each cupcake starting in the center and working your way out. 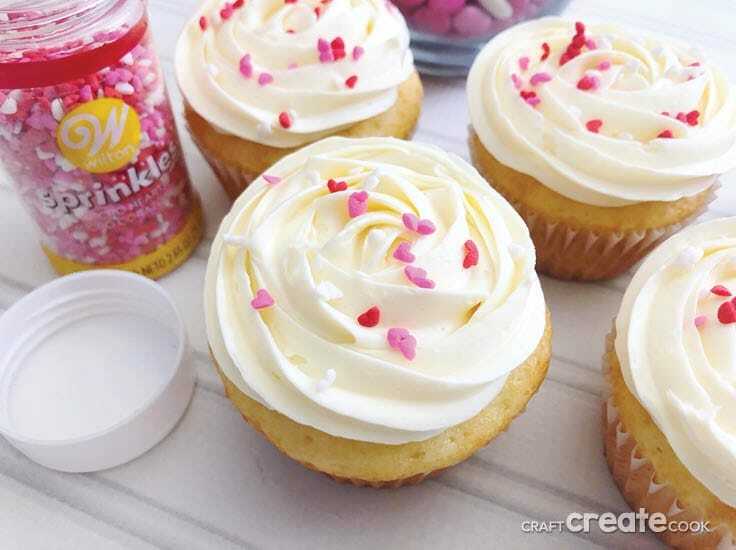 Top each cupcake with heart sprinkles. 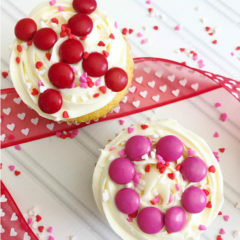 Use the red, pink and white M&M’s to make X’s and O’s on your cupcakes for hugs and kisses.